Yash Raj Films introduced Bollywood to youth films with a vision to make films for the youth, of the youth, by the youth. Within just a span of one year, Y-Films became the defining launch pad for fresh talent. The studio has put up over 32 names of directors, actors, music composers, assistant directors, editors, DOPs, writers, costume designers, animators on the silver screen. But, having said that, these were not straight- outta-college newbies. Most of the talent launched has been around, assisting reputed technicians or making their mark in the advertising or television space for quite a while. What Y-Films gave them was a fabulous platform. And each of them now has a film to their credit. That too in a Yash Raj film! Luv Ka The End, a story of revenge and girl power where a spurned lover took down her cheating boyfriend, starring Shraddha Kapoor saw as many as sixteen debuts across various departments. 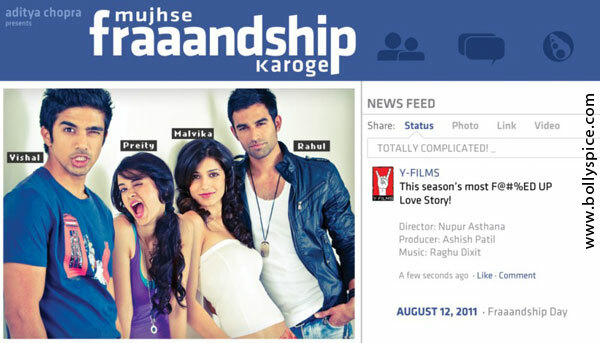 And Mujhse Fraaandship Karoge, India’s first Facebook love story, had an all new star cast along with a minimum of 12 debuts behind the camera. 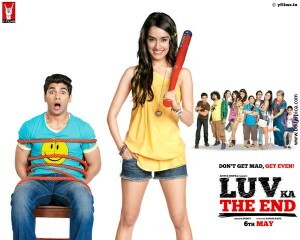 One of the biggest debuts on Luv Ka The End was the director, Bumpy, who is popularly known for his MTV show, Roadies. His superbly talented colleagues from MTV, DOP, Adil Afsar and editor, Saurabh Kulkarni also made their debuts in the film. Mujhse Fraaandship Karoge gave one of India’s biggest desi-rock artists, Raghu Dixit, the opportunity to reach out to the masses with his native sound. He scored the music and the background score for Mujhse Fraaandship Karoge. And Nupur Asthana, famous for her cult television shows, Hip Hip Hurray and Mahi Way showed us what love in the times of Facebook is all about. On the acting front, MFK’s lead actor, Saqib Saleem has been hailed by some critics as the find of the year, while supporting cast from both the films have gone on to star in other films and advertising commercials. Y-Films promises to bombard Bollywood with more such talent in the coming year. No, actually, it’s more of a resolution!